The Theatre was named after one of the English-speaking world’s best known humorists, Stephen Leacock (1869-1944), whose amusing home-spun stories about small-town Ontario endeared him to readers throughout the world. His gravesite is located at St. George’s Anglican Church on Hedge Road in Sutton. The campaign to build the Stephen Leacock Theatre was spearheaded by the late Whipper Billy Watson, who was also a life-long resident of Georgina. This beautiful building, located at 130 Gwendolyn Drive in Keswick, houses both the Theatre and Club 55 for seniors. The Leacock Theatre is also home to the Queensville Players, who have been performing quality musical theatre in York Region for nearly 30 years. 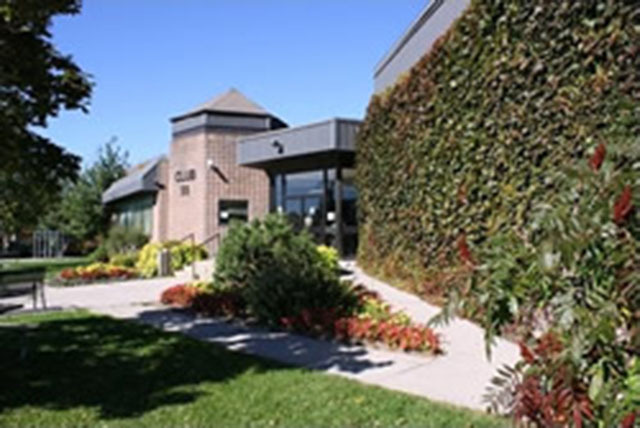 The Town of Georgina’s Department of Recreation, Parks and Culture also produces shows and events at the Theatre. If you are not familiar with our Theatre, you will be pleasantly surprised with our excellent seating arrangement and rich acoustics. Entertainers and the audience alike are delighted with the up-close and personal ambience of the Stephen Leacock Theatre, which is committed to providing quality entertainment at affordable prices. For showtimes, prices, or to order tickets with MasterCard or VISA call the box office at (905)476-0193. All seating is reserved. We hope to see you at the Theatre soon.